IELTS ONLINE COACHING, a subsidiary of Digital Brolly, is one of the best ielts coaching institute located in the prime hub of Hyderabad, Telangana, which has easy access from any corner of the city. We offer 100% exam ready IELTS Preparation course and guidance for IELTS through our IELTS Online training, Classroom training, Video-recorded course as well as Personal Training. We have certified trainers who have ample experience and innovative methods to make sure you score to the best of your abilities. We are very rigid about certain things, and one among them is a restricted number of candidates per batch. Our well-infrastructured classes (online or offline) are small with no more than 10 people per batch because quality-training is our goal. Our small batches facilitate the trainer to give individual attention to each, according to his/her needs. We also provide Personal Training, wherein you enrol for a one-to-one session with the trainer. Our quality-driven approach makes sure that we hold your hand till you are ready for the test, with assistance after the course, backup classes, additional interactive sessions with the trainer, etc. Why are we the best IELTS coaching institute in Hyderabad? IELTS Online Coaching is the best IELTS Training Institute in Hyderabad. 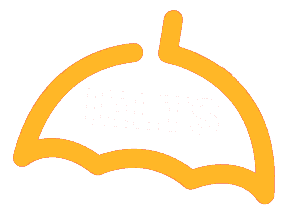 Whatever your educational/professional background is, we assure you that we provide the right knowledge, concepts and strategies with our trainer’s individual supervision to attain high score in the IELTS test. We offer customized training and report analysis for you to improve your score and reach your destination without hussle. A dedicated workforce, experienced counsellors, personal attention, commitment, responsibility as well as client-friendly environment always keeps us ahead in the competitive world and makes us closer to our client’s hearts. Our key objective is to provide quality IELTS training to the candidates, delivering the right strategies required to crack the internationally Standardized exam (IELTS Test), which make up the very first step on the path to success. Our emphasis is on proficiency-based learning and we deliver communication sessions that enable you to effectively communicate in English with others. The world is becoming a smaller space, thanks to the era of globalization. A flight across the seven seas is no more an impossible deal. We envision to support every individual in this country to make that dream-travel of his to come true. 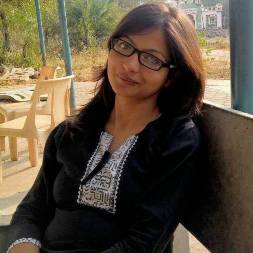 Anindita Choudhury is the lead English Language trainer and Instructional Course Designer for English at IELTS Online. With past training experience at the Center for International Education Exchange (CIEE), she is a master in training not just the language but the science behind it. Her passion towards language led her towards research in Second Language Acquisition. Her zeal and commitment towards teaching magnetized her towards edifying students in the English language.